Laura created a festive scene by layering her focal elements on her card front with a beautiful embossed background underneath. Barbara created a grid design with her Town Bear images that add a fun visual element to her card. The striped pink and white border complements the pink she used on her images and completes her scene. 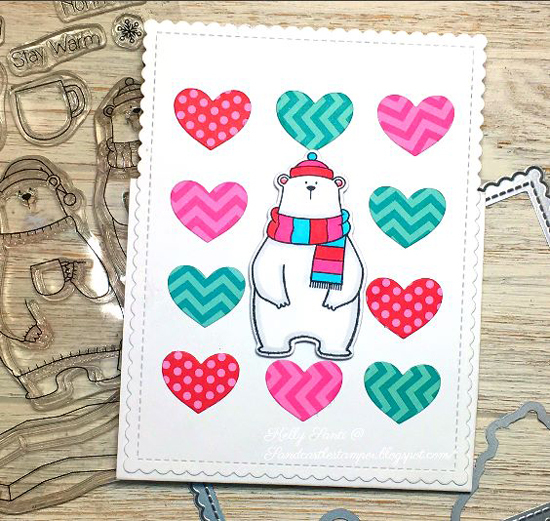 How fun is Kelly's bright and colorful card design featuring a backdrop of patterned hearts behind her winter bear. We love how she colored the scarf and the hat on the bear with the same color palette as the hearts. 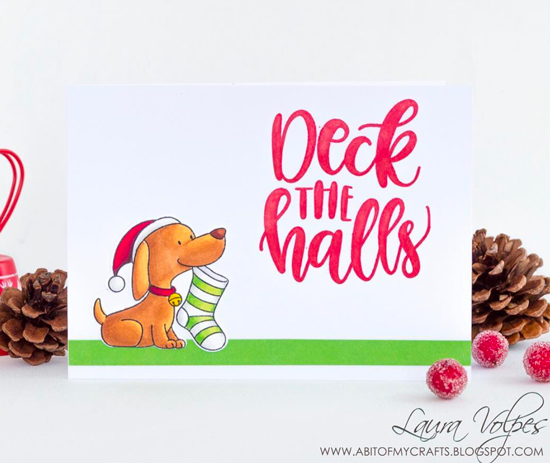 A bold sentiment takes center stage on Laura's card with a cute puppy image trying to steal the show. :) She grounded the image with a green border along the bottom and stayed true to holiday tradition with festive red and greens. 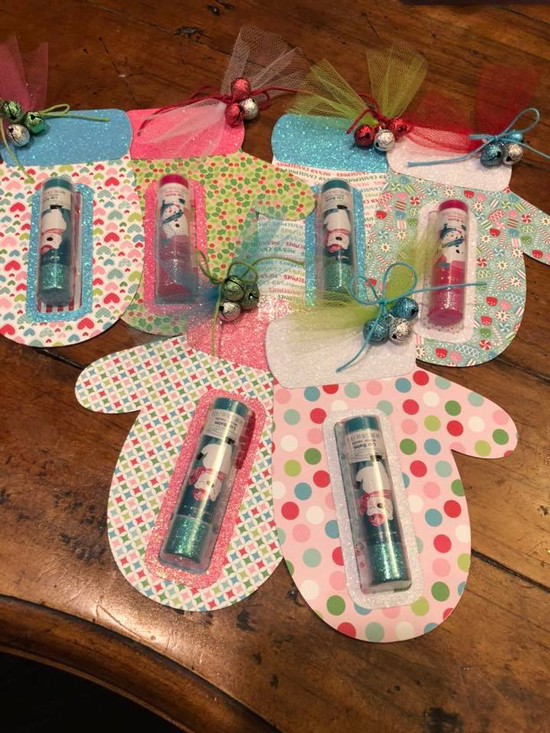 Marisa created a variety of lip balm treats in the shape of mittens! Such a great way to keep those winter lips moisuruzed and treat your friends and family to a handmade gift! Thank you for spotting my card! Congrats to the other crafters! Oh wow, what a wonderful accolade! Thank you so much! Beautiful line up of cards - congratulations, everyone!